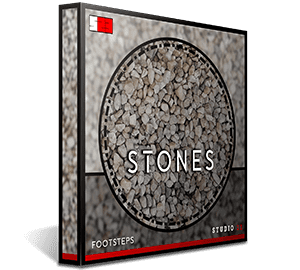 Studio 23’s Stones Footsteps Collection is one of the most in depth libraries for footsteps of its type on the market, including 308 high quality .wav files (Approximately 1700 individual sounds). Created as part of Studio 23’s ‘Ultimate Footsteps Bundle’ this pack gives you access to all of its recorded stones audio, featuring 7 different footstep types across multiple performances. This gives you the ultimate freedom in any creative situation and has been desiged with ease of use in mind. The pack consists of individually recorded and edited files alongside stereo loops to allow for the greatest flexibility within your projects. Each of our 270 individually edited Mono sound files have been meticulously crafted so that they can be used without any further editing, cutting down on production time. The stereo loops can sound very natural dropped directly into your project and can be further manipulated to suit your requirements. We believe that delivering our audio in this format creates the most flexible product of its kind, thus providing the best value. 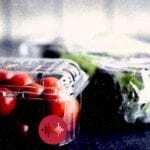 • Totalling 308 high quality .wav files, covering 7 different footstep types, including 38 loops, you can be sure there is a diverse selection of sounds for every situation. • 270 individual mono sounds and 38 stereo loops. • Pack including individual edits and loops contains approximately 1700 sounds. • The library consists of Footsteps, Slides, Jumps, Lands and Singles, with each one individually cut so they can be accurately dropped into a project straight away. Also including loops providing longer performances with the added flexibility for further editing/sound design for your projects specific requirements. • There are 5 Different loop performances with varying speed for each Shoe type. These include Slow Walking, Normal Walking, Fast Walking, Jogging and Running. • The pack is organised into folders for ease of use and has been embedded with Soundminer metadata to allow for a quick and efficient workflow. • Audio recording at 96kHz and 24bit for HD quality. *Please note that our preview is showcasing our entire “Ultimate Footsteps Collection” releasing in the near future. The footsteps within this pack are part of this bundle and the preview only references to the quality you should expect from your purchase. Gear Used: Microphone – Sennheiser MKH-416 P48.